← Aruba Is for…. Uh, What Is This, Actually? Last week, a client in central Massachusetts was giving away a bunch of CDs. This one caught my eye as I was loading it into a box of donations. Well, Jesus WAS a carpenter…. Sawdust in my eyes can make me cry. 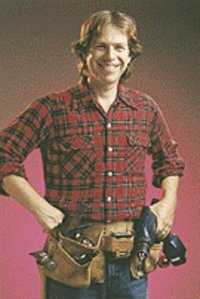 Now, I had expected it to be Christmas music played exclusively on hand and power tools, which would have been an interesting challenge. Turns out the tools just accompany more mainstream instrumentation. It’s still a holiday gathering conversation piece, or a gag gift for that relative who spends the entire party in the toolshop “working.” I see that the disc sells for $13 on Amazon or $7-8 used. So if you want this copy, it’s yours. For more information, see the webpage for the album. It turns out it’s one of a pair. Its companion, Toolbox Classics, features Bach, Mozart, Strauss, and Wagner. Desperate for samples? Fortunately, there are selections on YouTube. Here’s the Dance of the Sugar Plum Fairy. And here’s a video of Woody and friends in the shop, playing Bizet’s “Habanera” (aria) from the opera Carmen. 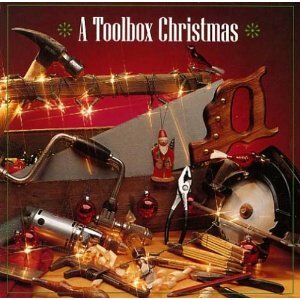 This entry was posted in CDs, Music and tagged carols, CD, christmas, music, toolbox, tools, Woody Phillips. Bookmark the permalink.